We are excited to announce our new partnering with novelist Noah Knox Marshall. Together we will be creating a set of curricular resources to help middle school-age students learn the deep skills of collaboration needed to address complex technical and social challenges. Marshall is the author of the Dax Zander: Sea Patrol anthology, a nine-book series that begins with 13-year-old, Dax Zander as a brash, reckless thrillseeker with a remarkable capacity for science. 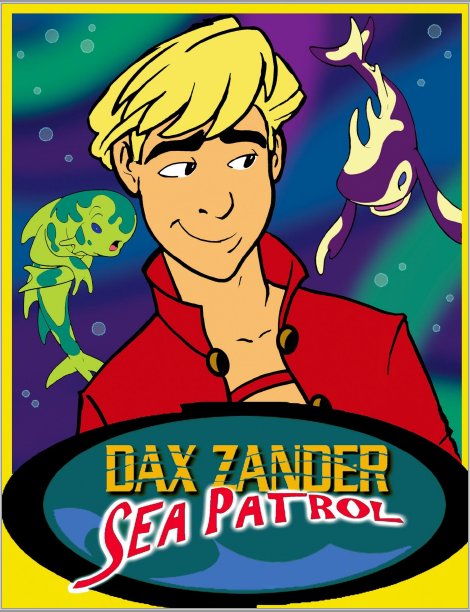 The series follows Dax’s transformation from a carefree, impulsive adolescent to a wise, compassionate and courageous hero. Along the way he encounters beings and places both awesome and terrifying – and eventually bears the fate of three worlds upon his shoulders. Together with Noah, we will be developing a set of learning resources customized for middle schoolers to spark interest in the disciplines of science, technology, engineering, and math (STEM) and to give students a framework to work in collaborative teams to design solutions to complex problems. The game we are developing is a slight adaptation of Strategic Doing that we are calling Ubuntu: Do More Together. “Ubuntu,” a word found in several cultures in Southern Africa, refers to a philosophy that there is a universal bond of sharing that connects all of humanity. This notion of designing innovative solutions by connecting the assets each member of a group is willing to share, is a common thread found in both the Dax Zander books and the Agile Strategy Lab’s work. Here’s one more quote from the press release. “We work with a growing network of universities and each of those universities has its own network of K-12 educators and administrators in the regions they serve. That’s one of the ways we can scale the adoption of these materials,” Hutcheson explains. The publication date for the first novel is not yet set but materials are being developed now so that a launch can coincide with the publication calendar. Educators and others interested in learning more can watch this site and our the Strategic Doing newsletter for more information as it becomes available. Under a different name, Noah Knox Marshall has been writing live-action and animated features in Hollywood for 15 years. 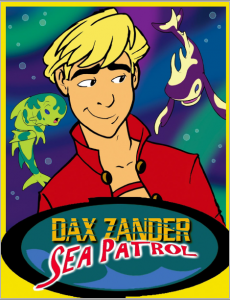 “Dax Zander: Sea Patrol” evolved out of a pitch for TV Animation. He has a great affection for science-fiction, space exploration and marine science, three realms that blend seamlessly in his forthcoming books. Noah lives adjacent to the ocean in Los Angeles, and enjoys a walk on the shore almost every day.